Danielle Prestejohn, NASM CPT, MS Nutrition, is a devoted CrossFitter, Group Fitness Instructor, and Health Coach. Residing in Boston, MA she is the blogger behind CleanFoodCreativeFitness.com and has a passion for all things nutrition and fitness. She hopes to share this passion and enthusiasm for health with all those in the Diet.com community! I am the worst about making breakfast in the morning. Breakfast is easily my favorite meal of the day but I would much prefer to eat it at noon than to get up early and make it. For a long time I was in a good routine of having eggs in the morning and starting my day off with protein, but lately it's been getting harder for me to get going, cook breakfast, and have time to sit without distractions and eat it. Not so good for my nutrition! So this is my solution. Egg muffins that are sweet enough that I feel like I could possibly be eating a muffin but it's basically just eggs and pumpkin. Plus I can make them ahead of time and store them for the week so there's no cooking involved in the morning. 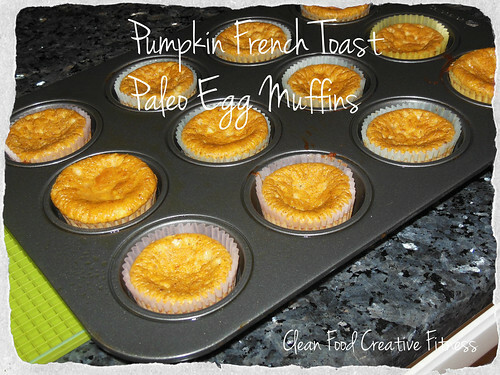 I also like these because they're not like your typical Paleo muffin recipe that is packed with almond flour, coconut flour, or excess amounts of almond butter. They're made of all whole foods so they're totally fine to eat often. These may not be the texture of French toast but they definitely taste like it to me! In a bowl blend the whole eggs and whites. Blend in the pumpkin until mixed. Add in your coconut sugar, vanilla, spices, and baking powder until blended. 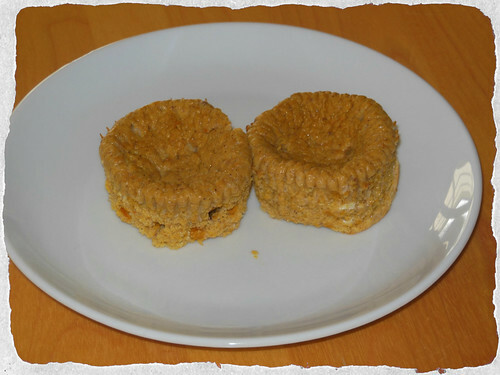 Pour mixture into greased muffin tins (it will be watery). Bake for 25 to 30 minutes until the tops puff up and eggs are cooked. Let cool and store in the refrigerator to have on hand for the week. What's your favorite make-ahead breakfast to have on hand for the week? You will be able to post comments 24 hours after registering, so long as your email address is also verified. » 4 Creative Ways to Drink More Water! We respect your privacy. We will never share your email address with a 3rd party for any reason.